This story has been updated to include information about the arrest of the driver. Another crash in Dayton is blamed on a heroin overdose, police said Tuesday. On Monday, Dayton officers and firefighters responded to Sixth Avenue and Berry Street where a vehicle and crashed into the city monument that honors veterans. Officers discovered that the driver and the passenger appeared to be overdosing. Narcan was administered on both. According to police, a witness reported that prior to the crash, the vehicle was driving slow and then sped up once it reached the intersection of Sixth and Clay Street. The driver was identified as Christopher Marshall and his passenger was Lori Kirchiner, both of Cleves, Oh. Kirchiner was transported to St. Elizabeth Medical Center in Ft. Thomas where she was cited for public intoxication. Marshall, 27, was also transported to the same hospital and then arrested on Wednesday. 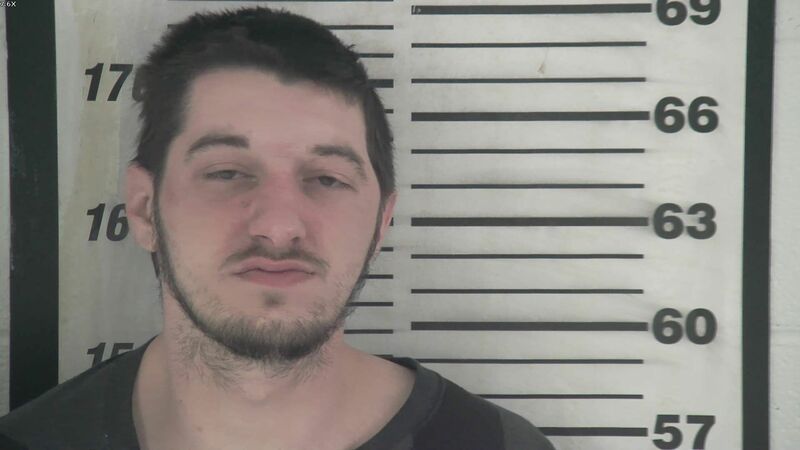 He is lodged in the Campbell County Detention Center where he faces charges of first degree wanton endangerment, DUI, reckless driving, possession of marijuana, suspended operator's license, and failure to produce an insurance card. Marshall is also wanted on two outstanding warrants for failure to appear in court. Kirchiner stated to officers that they were in the area to pick up a friend in Bellevue got lost in Dayton, police said. The crash follows recent reports that the Bellevue-Dayton Fire Department had already wildly surpassed 2016's overdose numbers, year to date, and were running out of Narcan (the commercial name for Nalozone, which can reverse the effects of an overdose). After The River City News reported that story, NKY Hates Heroin donated $4,000 to the department so that it could purchase more.